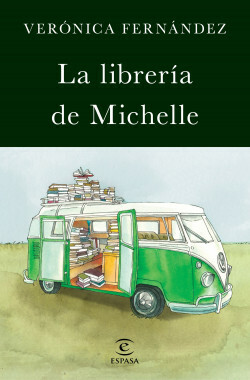 One summer in the sixties, a French woman comes to town with a Volkswagen Camper Van filled with books. She’s not very interested in them, or reading for that matter: they’re part of her inheritance. She has come to the town because her parents lived there before emigrating to France. She has decided that she needs to do something with the books and all she can think of is to open a temporary bookshop. A young man about to go to university, who already lives in the capital but is spending the summer there, falls in love with the Frenchwoman. Unlike her, he loves books. This is a charming, delightful story about love and a mystery: why did the young Frenchwoman inherit the books in the first place? The author is one of the most acclaimed and well-known scriptwriters in Spain. Anyone who really loves you will get you to read. This is a novel in which books, a bookshop and love are the real protagonists. An enchanting story that demonstrates the power of books and reading.